There has been discontent over the weekend following the UPND's decision to walk out of a healthcare debate. 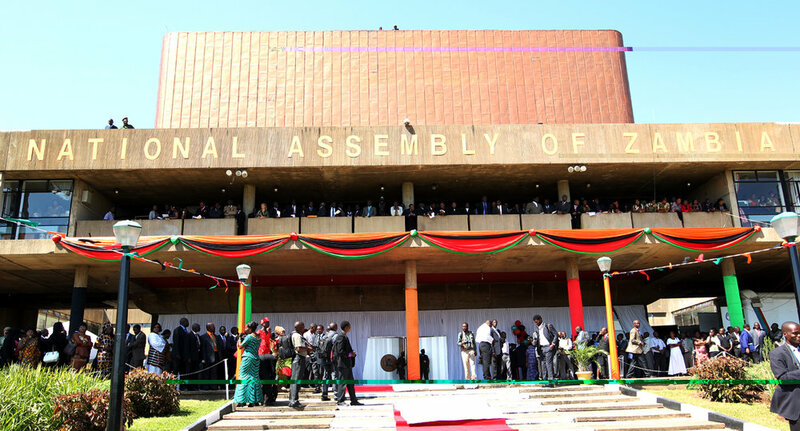 MMD youths have accused opposition UPND leadership of abandoning their own manifesto after they walked out of the house during debate on the Health Insurance Bill in parliament on Friday. MMD National Youth Treasurer Geoffrey Mulenga described the move by UPND parliamentarians who were acting on instructions from their leader Hakainde Hichilema as an act of cowardice. He said it is starting to look like the UPND leadership will oppose everything even progressive ideas meant for the well being and development of the nation. Mulenga noted that the UPND leader Hakainde Hichilema and his MPs have seemingly gone against their own Manifesto where they proposed to introduce a sustainable health insurance framework for all Zambians. He adds that just like their opposition to printing ballots within the country the UPND have failed to convincingly explain to a common Zambian why they are opposed to the Health Insurance Bill which seeks to improve the well being citizens in the country. It is believed the UPND in fact left for similar reasons as outlined by ZCTU. A week ago, the Zambia Congress of Trade Unions (ZCTU) stressed that it was against the Bill as it was taken there without any consultations. ZCTU deputy secretary general Elaston Njovu told journalists that the Congress did not know how much money would be deducted and that it did not know other contents of the bill. “What are the risks? We fear that one day people will turn up and say ‘ZCTU, where were you when the government was presenting in Parliament?’ So, it’s important to participate in the content, not only to know but to be able to make contributions.